The Laser delivers energy through a small hand piece in the form of a beam of light. The laser targets hair in the growing phase by honing in on the melanin in the hair follicle, following it down the hair shaft, where it destroys it without affecting the surrounding tissue. As long as the hair has pigment in it, the laser will destroy the hair follicle on impact, once destroyed this follicle will never grow back. What precautions need to be taken before laser hair removal? Sun exposure needs to be avoided at least two weeks before your hair removal treatment. Tanned skin will blister so it is better to wait for tans to fade before having a treatment. No bleaching, plucking or waxing 4-6 weeks before and after a treatment. Rather shave for a few weeks before your treatment. How many treatments will you need? 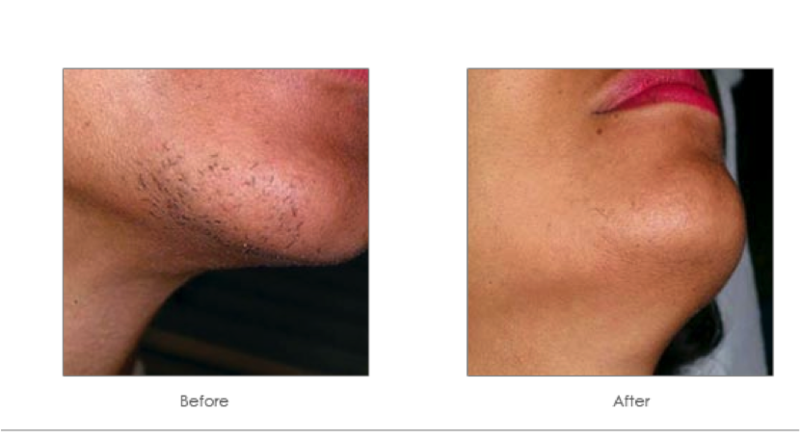 6-8 Sessions is recommended, but the average patient is satisfied with their hair removal after 4-6 treatments. It is important to remember that each individual’s age, ethnicity, weight, metabolism, body area, medication and hormones have a direct result on hair growth and can affect their laser hair removal process. Why do I need multiple treatments? Hair grows in cycles therefore each growth cycle will need to be treated with the laser in order to obtain permanent hair reduction. 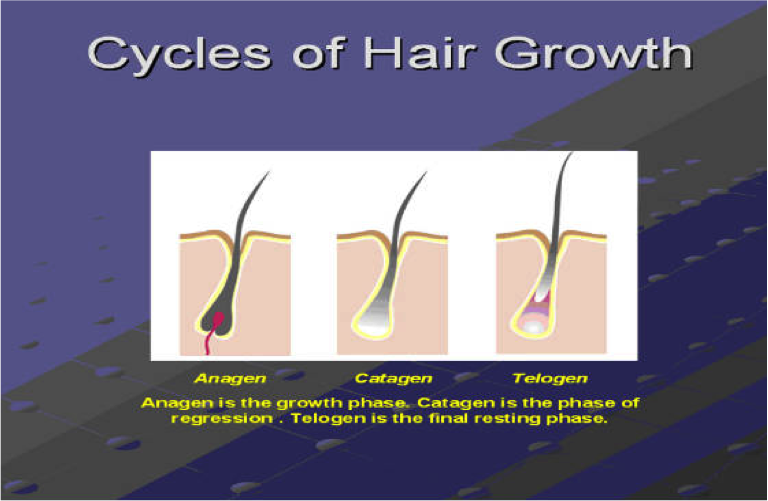 When the hair is actively growing, each individual hair goes through three main cycles, namely; Anagen, Catagen and Telogen. Anagen is considered the growing stage, this is when the root of the hair is the largest, has an abundance of melanin, and is attached to the root. It is only during this stage that the hair is able to be targeted by lasers. 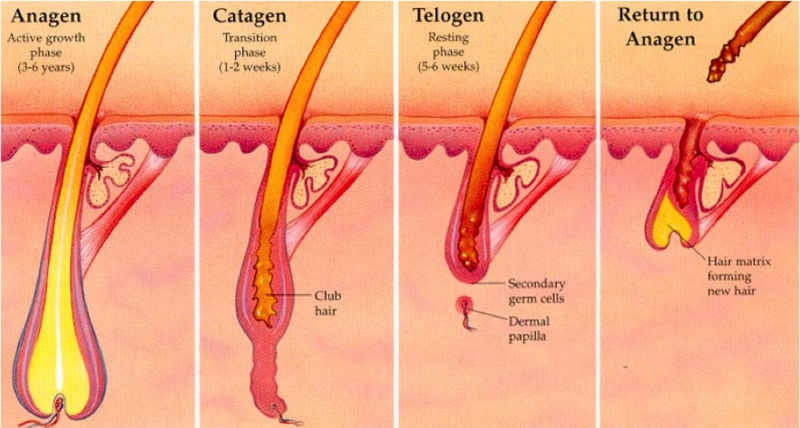 Anagen can last several weeks normally, and at any time, about 15-20% of a person’s hair is in this stage. 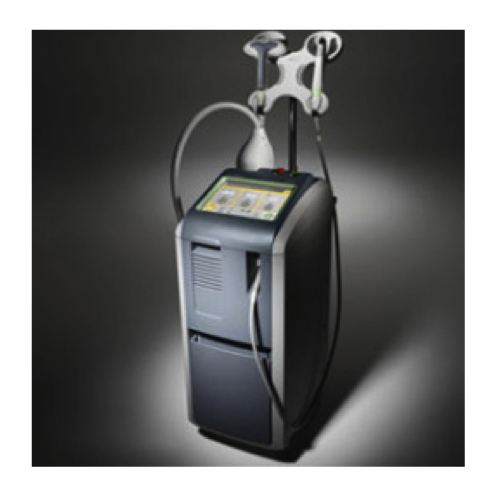 Lasers have been safely used for many years for a variety of medical and cosmetic procedures. There is some discomfort during the procedure likened to the snapping of a warm rubber band. Most people find this to be mild and tolerable. We use cold ice packs to minimize any discomfort. Immediately after a treatment there may be some redness and/or mild swelling, although usually this dissipates within a couple of hours. Makeup can be applied immediately after a treatment. Uncommonly, a skin wound such as superficial blisters and scabs can occur, which heal within 2 to 14 days. Use of antibiotic ointment on a regular basis usually results in uneventful healing. Another risk is the possibility of hypo (too little) or hyper (too much) pigmentation which is very uncommon. Usually treatable with new lightening products or pigmentation inhibiting products (which can be started prior to starting a Laser Hair Removal course), there is a <1% possibility that the pigmentation could be permanent. There is an increased risk of this with tanned or naturally dark skin. You may need extra treatments than those required by others if your skin is dark or tanned in order for us to be more conservative (gentler with initial and subsequent treatments) due to this increased risk. It is also important that you let any tanning lotions fade and do not seek artificial tanning treatments for 3-4 weeks prior to the procedure. Now men and women alike are making unwanted facial and body hair a thing of the past – thanks to the Cutera CoolGlide Laser. No more painful waxing, electrolysis or razors! 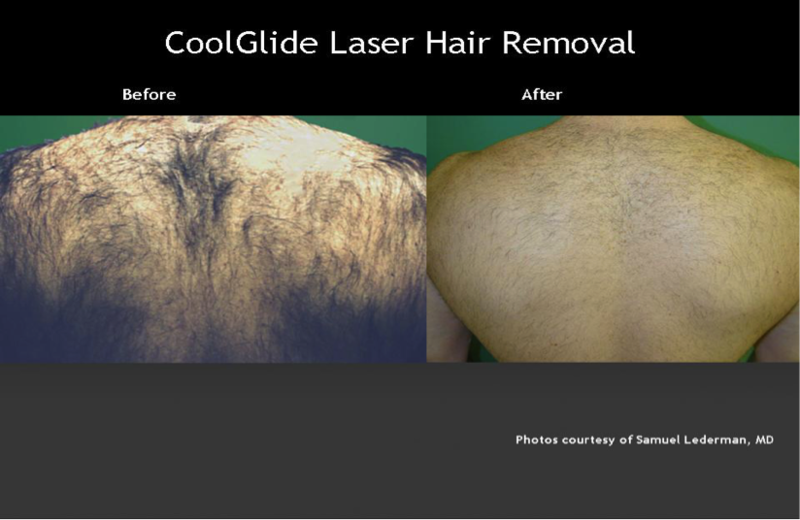 The CoolGlide laser delivers 21st century technology for treatment of this distressing problem. Cleared for permanent hair reduction, the CoolGlide laser can treat men and women of all skin types and tones safely and effectively. The Cutera CoolGlide is the best laser hair removal system on the market for all skin types and tones, from light to dark, including tanned patients. Its unique design, longer wavelength, and innovative cooling design, allow extremely effective, safe and permanent results. What areas can be treated with the CoolGlide? The CoolGlide can remove hair from all parts of the body including the face, legs, arms, underarms, and back. It can also treat sensitive areas like the chest and bikini line. What do CoolGlide treatments feel like? As the name implies, the CoolGlide handpiece cools and soothes as it glides along your skin. When the pulse of light is delivered, some patients experience a mild pinching or stinging sensation. No local anesthesia or pain medication is typically required; however, some patients may prefer to use a topical anesthetic when sensitive areas are treated. 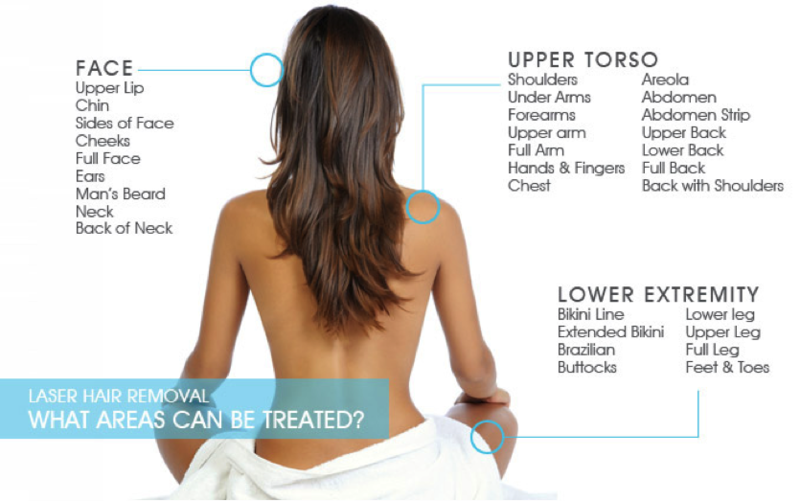 Most areas require 3-6 treatments. However, the number of CoolGlide treatments required for optimal long-term benefits depends on multiple factors – hair thickness, the area treated and your hair’s growth cycle. Interestingly, not all hairs are actively growing at the same time and actually go through three distinct phases: growth, regression, and resting. CoolGlide treatments work by disabling the hair that is principally in the active growth phase at the time of treatment. Since other hairs will enter this active growth phase at different times, additional treatments may be necessary to disable all of the hair follicles in a given area. ProWave™ is a fourth generation IPL device for more effective hair removal in Skin Type 1 to 4. ProWave™ is a part of a class 4 medical laser system, the Cutera Xeo, which cannot be compared to an entry level IPL system for hair removal. The Lightsheer® is a diode laser capable of treating all skin types and hair colours excluding white or grey hair. The E-Max Hair Removal System is a combination of Diode laser and Radiofrequency, resulting in a comfortable treatment suitable for all skin types and hair colours (excluding grey or white hair). © Copyright 2016 Wembley Clinic.